Michael Devins, product manager at Jamf, attended WWDC this week and offered us his perspective on Apple's presentation of its new developments in device management technology for schools and businesses. Jamf is the leading vendor of enterprise device management, with tools that now manage more than 9 million Apple devices globally. We reported on the company's Jamf Nation User Conference held last October, where it released its latest Jamf 10 Pro software. Devins summed up device management announcements at WWDC in stating, "while Apple didn't introduce a ton of net-new management functions, they continued to add capabilities to existing critical workflows like Mail, Security and VPN. "Apple's focus is very clearly on end-user privacy and platform security. Their dedication to this is evident in the granular controls they continue to expose for IT administrations serving organizations of all types." Apple School Manager, which launched in beta back in 2016, "has been a key strategy for Apple in the education market," Devins stated. "It started small and slow rollout and is now serving education customers in 34 countries, soon to be 65 later this summer. Apple School Manager is an ambitious revamp of Apple's Deployment Programs and ushers in a more mature set of capabilities than was ever available before. "Another key to Apple's continued success in the classroom was a brand new app for teachers, appropriately named Classroom," Devins stated. Classroom also originally launched in 2016 for deploying, managing and monitoring iPads in the classroom. 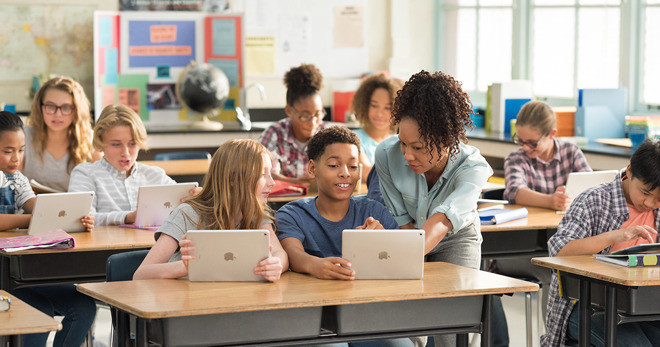 "Classroom for iPad serves as the ultimate teacher's assistant and takes full advantage of what iPad in the classroom--and Apple School Manager in the cloud--offers schools. Since launch, Classroom has continued to gain valuable enhancements that make Teachers powerful and help Students stay engaged and focused." In March at its Field Trip education event, Apple showed off its new Schoolwork app & ClassKit API to enable teachers to provide assignments and handouts to students. 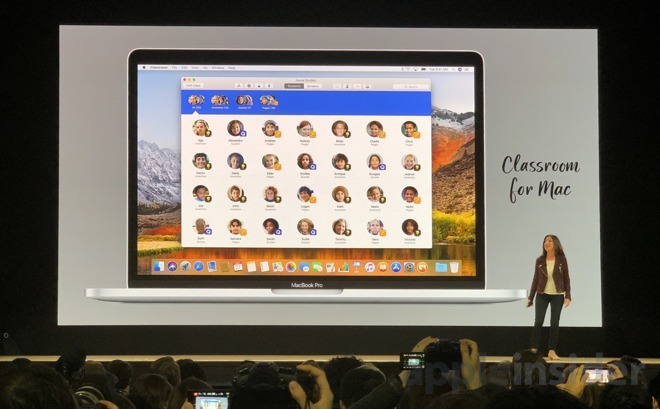 It also announced plans to bring Classroom to the Mac, which it released in beta this week at WWDC. Classroom for Mac is "a really big deal," Devins noted. "iPad is a great platform for Teachers, but so too is the Mac. And their demo, full of native Mac capabilities like keyboard shortcuts and robust sharing capabilities, gives Teachers a compelling reason to do even more with the Mac. This is an excellent example of a key strategic announcement from Monday's Keynote--bringing the power of iOS apps to the Mac can be incredibly valuable." 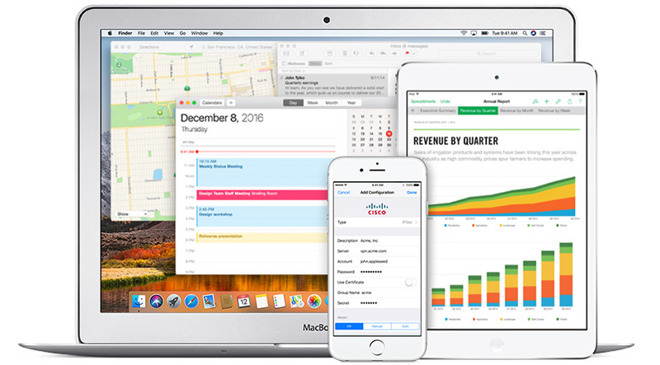 Apple Business Manager brings features of Apple School Manager to the enterprise. The web-based portal lets administrators configure device settings, create accounts and buy and distribute apps and books. Apple initially unveiled plans for the new product release at its education-focused iPad event in March. Devins noted that "Apple Business Manager was not in beta nearly as long as Apple School Manager, benefitting from the foundation Apple has built over the last couple of years. Broad availability of this new consolidated deployment program portal is a big win for all customers." He added, "Apple School Manager and Apple Business Manager make it easier than ever for organizations to put Apple devices in the hands of students, teachers, employees and guests. These deployment programs are a major platform differentiator for Apple, allowing organizations to deploy Mac, iPad, iPhone and Apple TV with ease and at scale. There's never been a more compelling time to choose Apple." Devins also said that "over the past several years, Apple has been making strides to unify the management of all of their platforms. While they continue to add great new management capabilities to iOS, the real compelling story is in bringing more of the rich iOS management framework to macOS and tvOS. This parity helps administrators make sense of managing Apple devices, instead of building different workflows for different platforms." Apple outlined some new features of tvOS and Apple TV in its WWDC keynote, but that wasn't the full extent of its work related to its set top box. 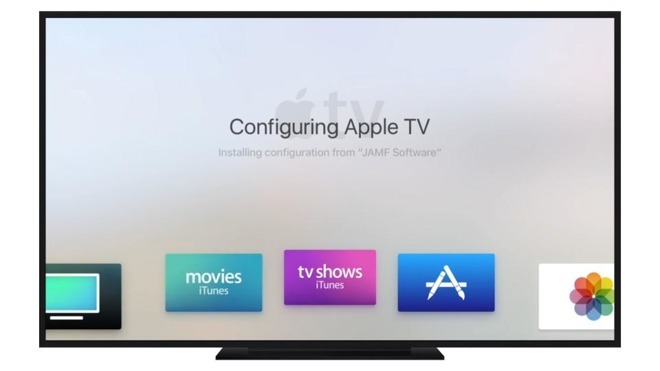 While often thought of as only belonging in the living room, Jamf has previously detailed how Apple TV serves the enterprise in ways other consumer TV boxes can't, including custom apps, digital signage and AirPlay functionality. "Apple TV continues to see staggering growth and Apple shows no sign of letting up on their aggressive strategy to serve the biggest screen in the room," Devins stated. "WWDC ushered in two critical technologies, both previously available to macOS and iOS, that will propel Apple TV into the enterprise: Software Update control and App Installation. While IT could already enroll Apple TV without ever touching the device (just plug it in and it enrolls), organizations can now ensure that the Apple TVs across their environment are always maintained and up-to-date. "In Apple's own words, the future of TV is apps. That couldn't be more true for the enterprise. AirPlay and iTunes are compelling features for anyone, but purpose-built apps for mass commercial and education deployment will soon explode with full support for managing app installation (formerly Apple's Volume Purchase Program, now part of Apps & Books). Expect to see a significant rise in tvOS apps serving healthcare, hospitality, retail and beyond."